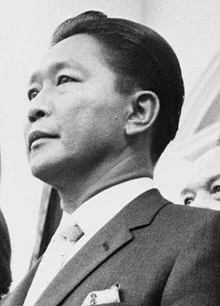 ALBANY, New York—New York courts have dismissed the claim by victims of Philippine dictator Ferdinand Marcos for more than $35 million from a US brokerage account, citing the competing claim by the Philippine government upheld by its own highest court. The Court of Appeals, New York’s highest judicial body, says the state’s courts for now “should not intercede” in a case that remains within the province of Philippine national sovereignty. If the assets belong to that country’s people, also victimized by the Marcos regime that was overthrown in 1986, the court says the assets should be returned. Marcos was sued in the US federal court in Hawaii, where he fled, on behalf of some 10,000 victims of arrest, torture and execution. The plaintiffs obtained a nearly $2-billion judgment after he died and now seek related assets. “At the same time, I’m also happy because that proves that the Marcoses stole money from the people, and that should be returned to the Filipino people. In effect, the court ruled in favor of the Philippine government,” she said by phone. Enriquez, daughter of one of the original plaintiffs in the class suit filed against the Marcos family, said lawyer Robert Swift made the claim for the victims to fund the $2-billion judgment. Selda filed a class action suit for 10,000 victims before the US Federal District Court System on April 7, 1986. The court ruled against the Marcos family on Sept. 22, 1992, finding the dictator guilty of crimes against humanity. The court ordered the Marcos family to pay exemplary damages of $1.9 billion and later, compensatory damages of $776 million to the victims.